Texans are known for their state pride. And whether you’re a native or you got here as fast as you could, Thursday, March 2, is the day to celebrate the rich history of this great state. On this day in 1836, delegates bravely gathered at Washington-on-the-Brazos to sign the Texas Declaration of Independence. The document asserted freedom from Mexico, creating the Republic of Texas, which remained a separate nation until 1846. Festivities and reenactments take place across the Lone Star State, especially along the Texas Independence Trail that winds its way between Austin, San Antonio, and Houston. We’ve broken down the best events and day trips to help you celebrate through the weekend. About two-and-a-half hours west of Houston, Gonzales is where the first shots of the Texas Revolution were fired in October 1835, when 18 townsmen refused to return a small cannon that the Mexican government had granted for protection in 1831. The settlers signaled their refusal by fashioning the now famous “Come and Take It” flag from the wedding dress of local woman Naomi DeWitt. Both the flag and cannon became symbols of defiance, sparking the first skirmish of the revolution. View the original cannon at the beautiful Gonzales Memorial Museum, a limestone art deco complex comprising two exhibition wings, an amphitheater, and a reflecting pool. Allow about an hour to browse artifacts of local, historical, and archeological significance. Besides the cannon and its replica, highlights include a mammoth tusk, archival photographs, a gruesome amputation kit, and an original typeset from the Gonzales Inquirer — one of the state’s oldest newspapers. For lunch, try the local barbecue at Gonzales Food Market in Texas Heroes Square, which honors all the Gonzales men who fought in the Texas Revolution. Across the street is the Gonzales County Jail Museum — an eerie tour you don’t want to miss. The brick structure was designed in 1887 to hold 200 prisoners under riot conditions: you’ll find original concrete and steel cells for violent and nonviolent prisoners and a spine-chilling solitary confinement chamber. Peruse antique shops in Confederate Square before looping your way back down Saint Louis Street, leading out to US Highway 90A. About 10 miles down the road at County Road 361, a humble historical marker points the way to the McClure-Braches house at Cinco J Ranch, where you can stand beneath the giant Sam Houston Oak. Under these branches, Houston first gathered his fledgling army after receiving news that the Alamo had fallen. Here, he mapped out his strategy for defeating the Mexican army, a month-long series of strategic retreats culminating in a surprise attack at the battle of San Jacinto on April 21. Shouting the famous battle cry, “Remember the Alamo,” Houston’s troops routed the Mexican army, capturing General Santa Anna and sealing Texas' independence as a new nation state. Gonzales officially celebrates with the annual Come and Take It Celebration in early October, so for less of a self-guided tour of Texas history this weekend, head to Washington-on-the-Brazos. Located about an hour from Houston on 293 acres of beautiful parkland, this historic site proudly calls itself the place “Where Texas Became Texas.” Visitors flock here the first weekend of March for the annual two-day Texas Independence Day Celebration. 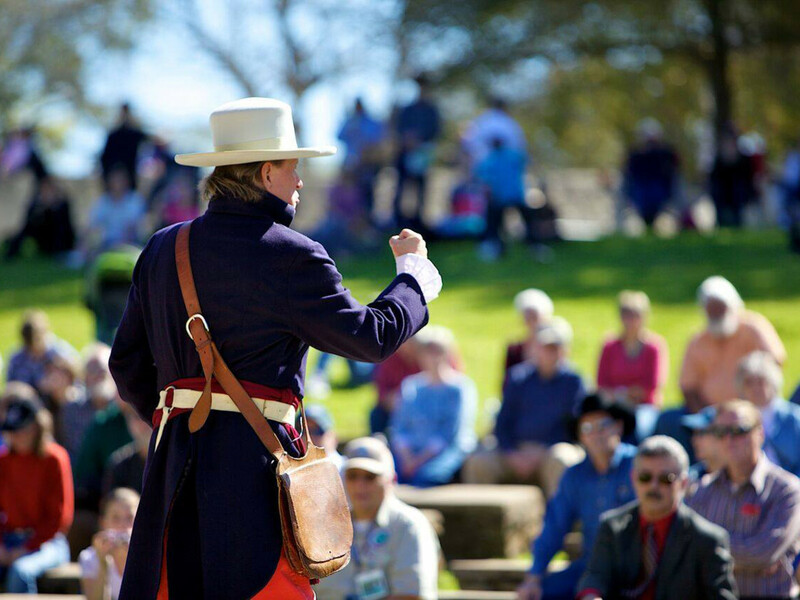 Festivities include live music, food, traditional crafts, and living history presentations; actors gather from across the state to set up an 1836 Texas Army camp, where visitors can wander freely Saturday and Sunday to learn how soldiers and their families lived in 1836. This year, the park celebrates the 181st anniversary of the signing of the declaration. Special guests and entertainment will include the Texas A&M University Singing Cadets, a historical play titled The Birth of a Republic, American folk music from the Star of Texas Dulcimers, and keynote speaker Judge Ken Wise. Admission fees are waived during the celebration, with free parking and onsite shuttles to all the site’s attractions. 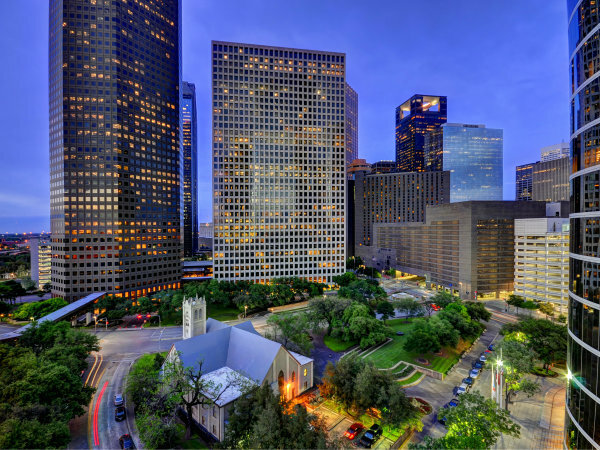 Start at the Visitor Center, which features interactive exhibits and a timeline of the Texas Revolution, and be sure to visit the Star of the Republic Museum, Independence Hall, and Barrington Living History Farm. Of course, if you are headed back to Houston your Texas pride pilgrimage is not complete without a detour to Brenham for Blue Bell ice cream. If you're headed to Austin, head to the new Yeti flagship store on South Congress on Thursday, where local brand Texas Humor is hosting a Texas Independence Day party with live music, trivia, and beer. Over the weekend, a parade will march down Congress Avenue, and other commemorative festivities can be found here. A 13-day calendar of events down the road in San Antonio can be found here.